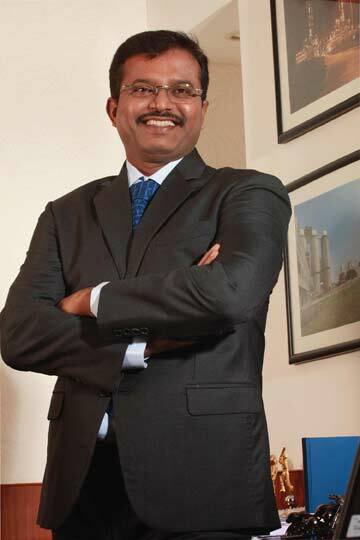 J J as he is popularly known, has been the Director at Bharathi Cement from 2006. He manages Projects, Alternative Fuels & Raw Materials and the CSR function at Bharathi. He has more than 14 years of managerial & administrative experience. His strength lies in exceptional project execution skills & has played instrumental role in successful commissioning of Bharathi Cement Plant, Kadapa, Andhra Pradesh. He started his career with the execution of Hydro Power Projects. He also implemented the Hydral Power Plants at Amogha Power Projects (2*750KW) and Sandur Power Company Pvt. Ltd (3*7.5MW). He is recognized for his excellent People Management Skill, thereby building strong trust and confidence about company among the local communities and stakeholder. He plays an instrumental role in the land acquisition and stakeholders management for the company. Under his leadership the company achieved a remarkable progress in the utilization of Alternative Fuels in cement manufacturing process. JJ is a Post Graduate in Agricultural Science (MSc) from ANGRAU (Acharya N. G. Ranga Agricultural University), Hyderabad.